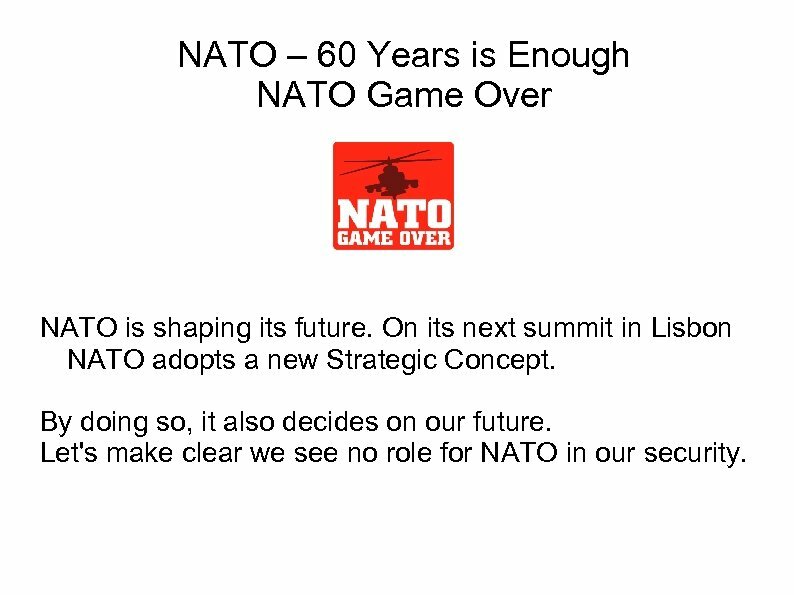 NATO – 60 Years is Enough NATO Game Over NATO is shaping its future. 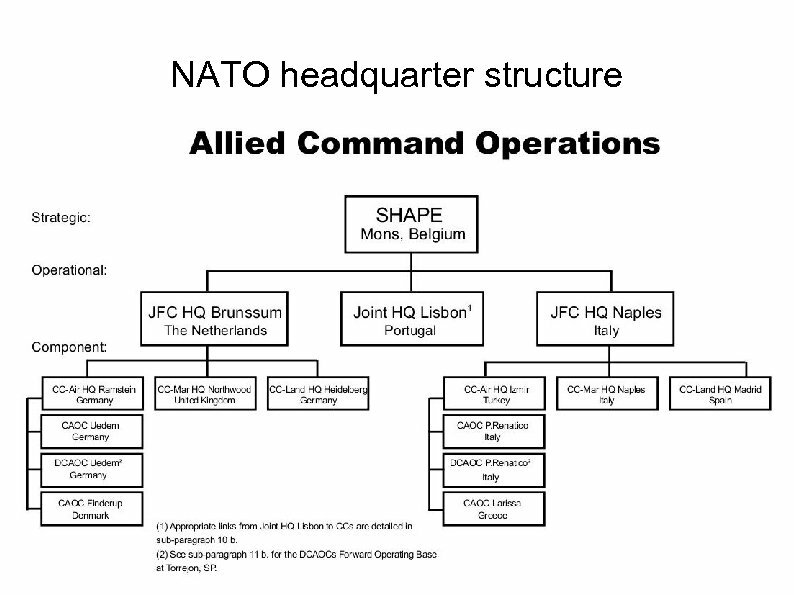 On its next summit in Lisbon NATO adopts a new Strategic Concept. 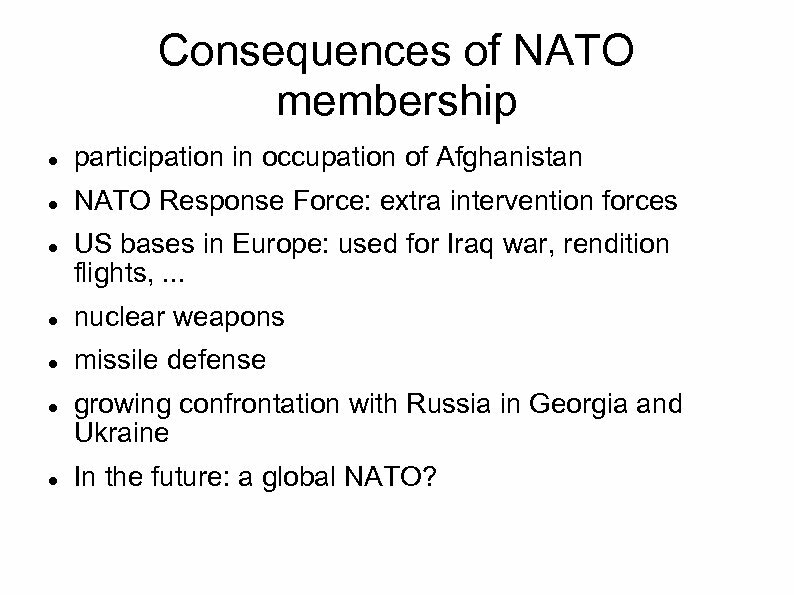 By doing so, it also decides on our future. 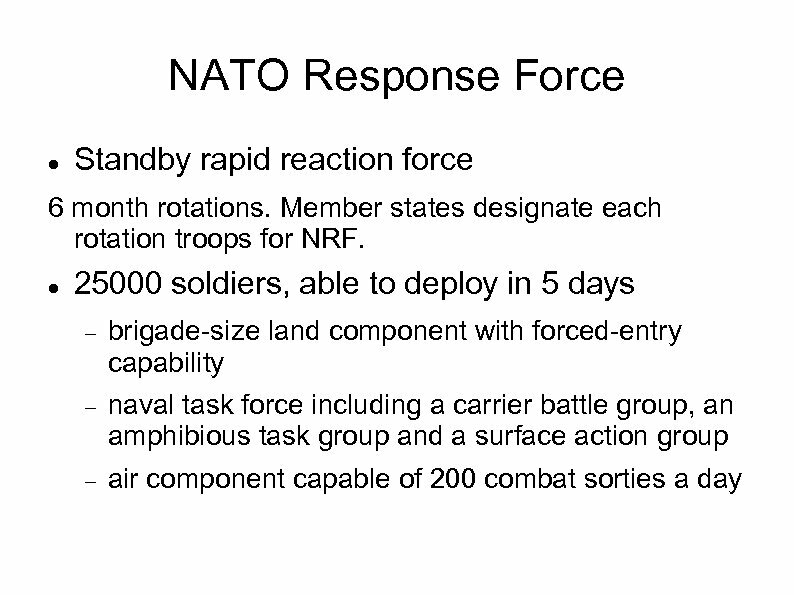 Let's make clear we see no role for NATO in our security. 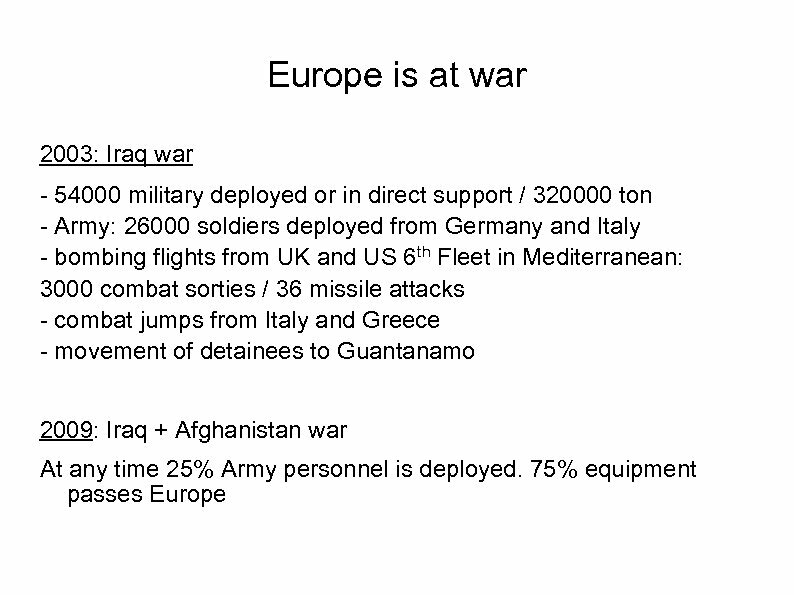 NATO from a Cold War military alliance to a global intervention power Importance NATO for US: - force multiplier - forward base towards Middle East, Central Asia and Africa Importance NATO for Europe: - collective defense? 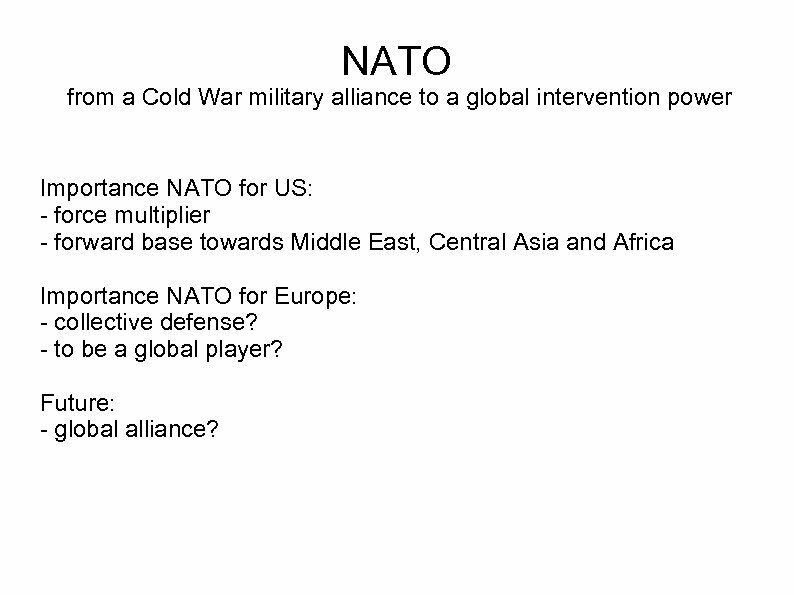 - to be a global player? 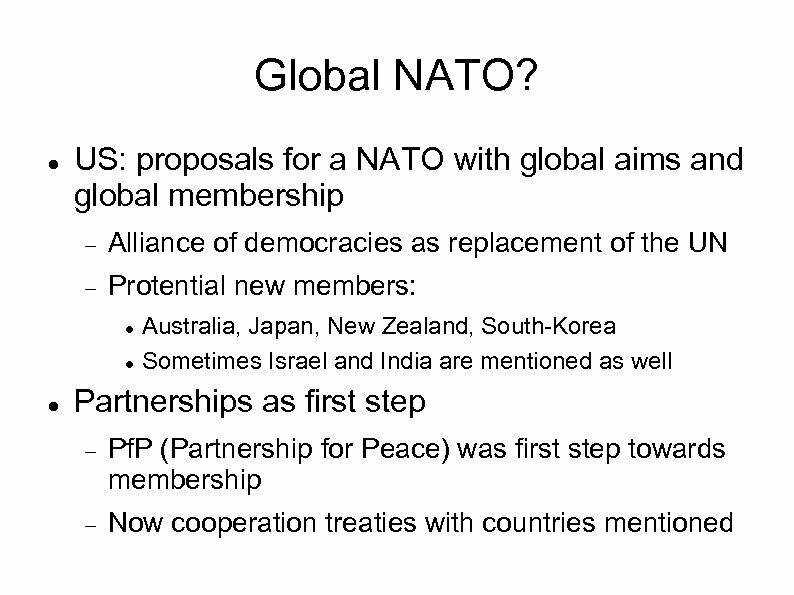 Future: - global alliance? 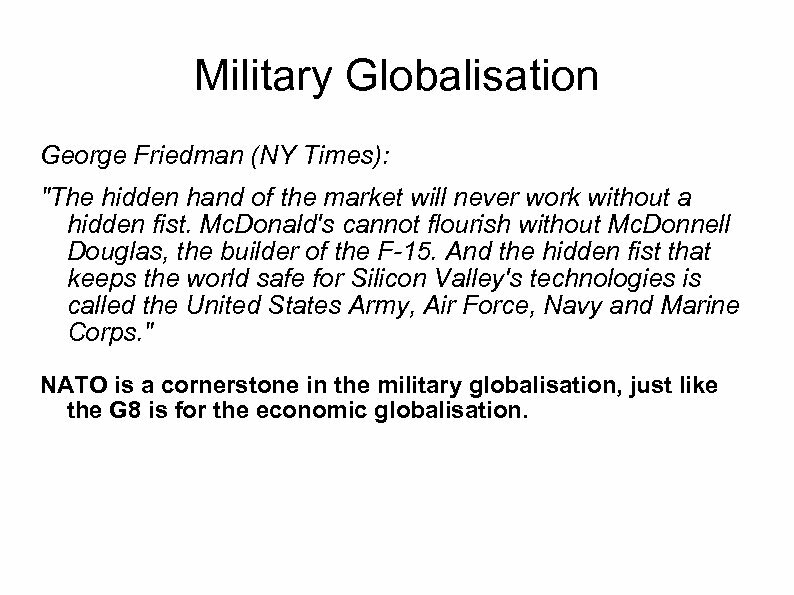 Military Globalisation George Friedman (NY Times): "The hidden hand of the market will never work without a hidden fist. Mc. Donald's cannot flourish without Mc. 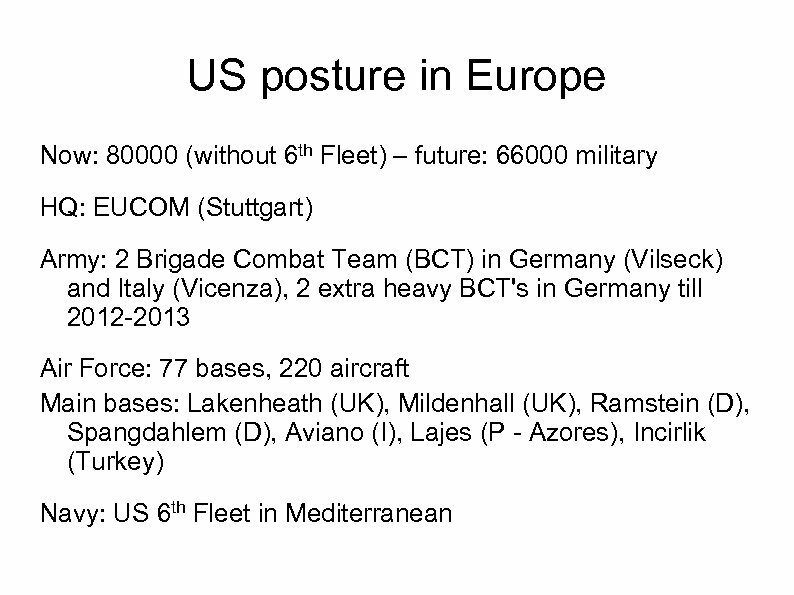 Donnell Douglas, the builder of the F-15. 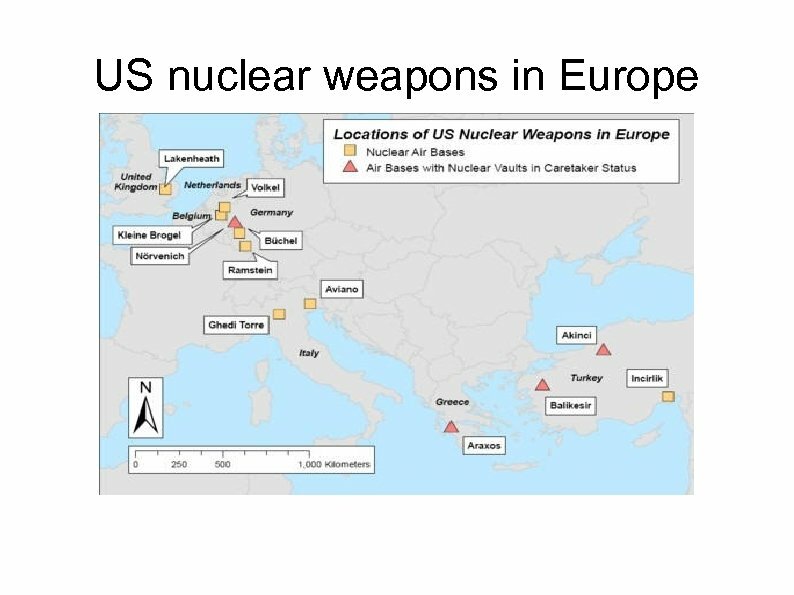 And the hidden fist that keeps the world safe for Silicon Valley's technologies is called the United States Army, Air Force, Navy and Marine Corps. " 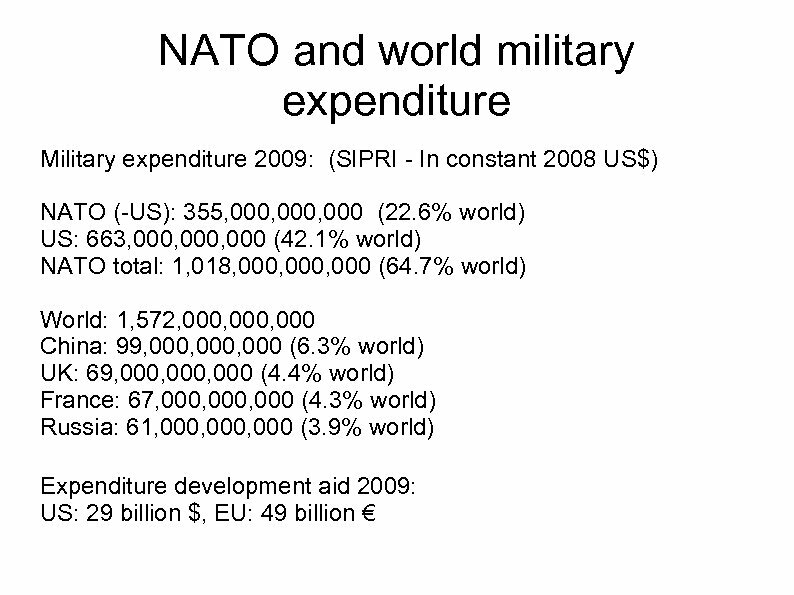 NATO is a cornerstone in the military globalisation, just like the G 8 is for the economic globalisation. 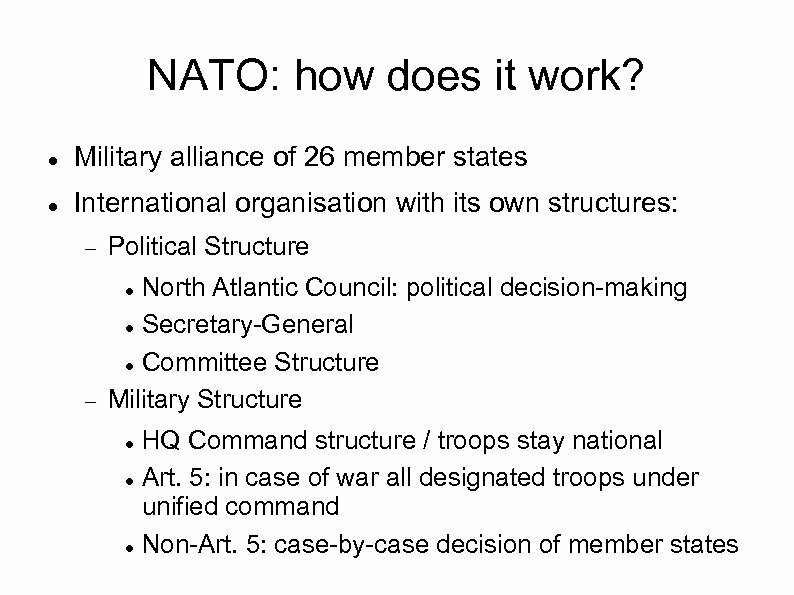 NATO: how does it work? 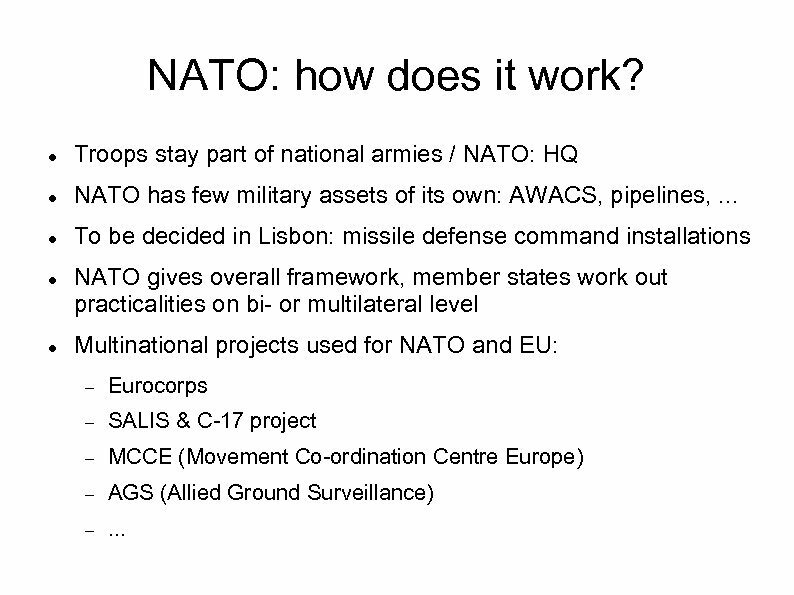 Troops stay part of national armies / NATO: HQ NATO has few military assets of its own: AWACS, pipelines, . 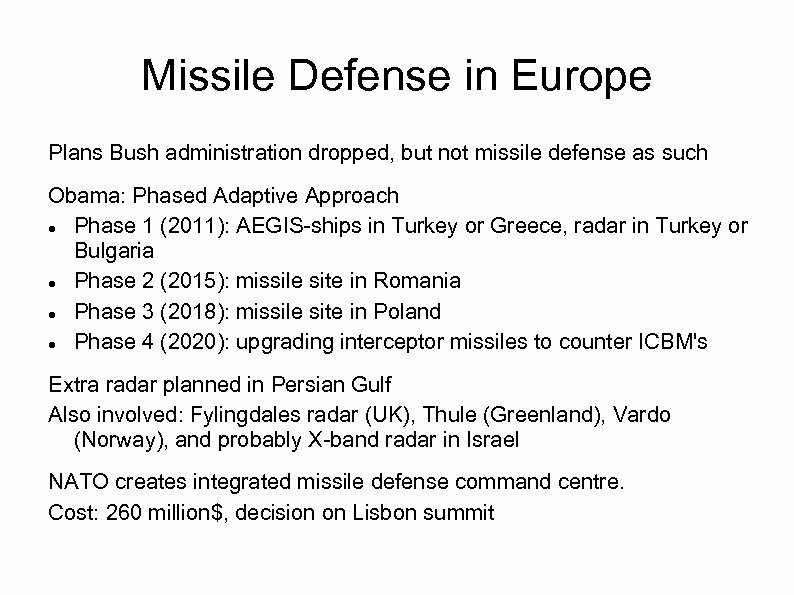 . . To be decided in Lisbon: missile defense command installations NATO gives overall framework, member states work out practicalities on bi- or multilateral level Multinational projects used for NATO and EU: Eurocorps SALIS & C-17 project MCCE (Movement Co-ordination Centre Europe) AGS (Allied Ground Surveillance) . . . 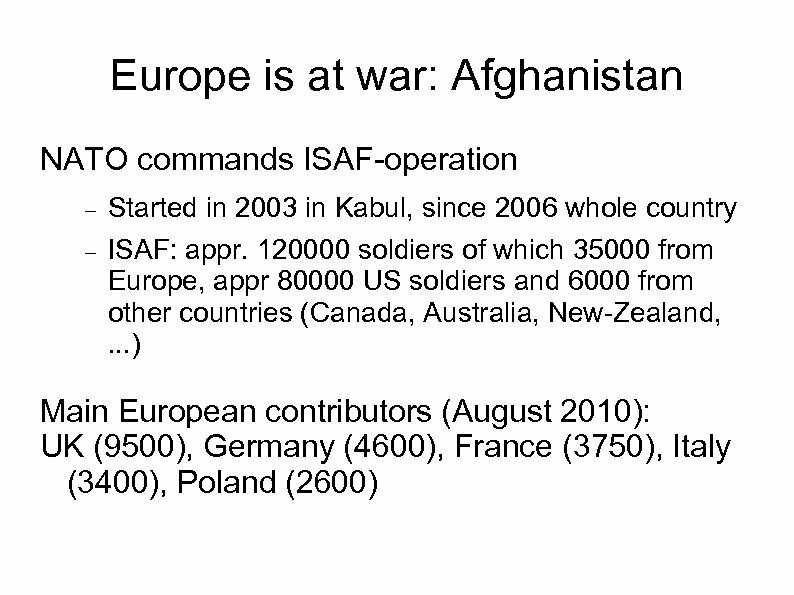 Consequences of NATO membership participation in occupation of Afghanistan NATO Response Force: extra intervention forces US bases in Europe: used for Iraq war, rendition flights, . 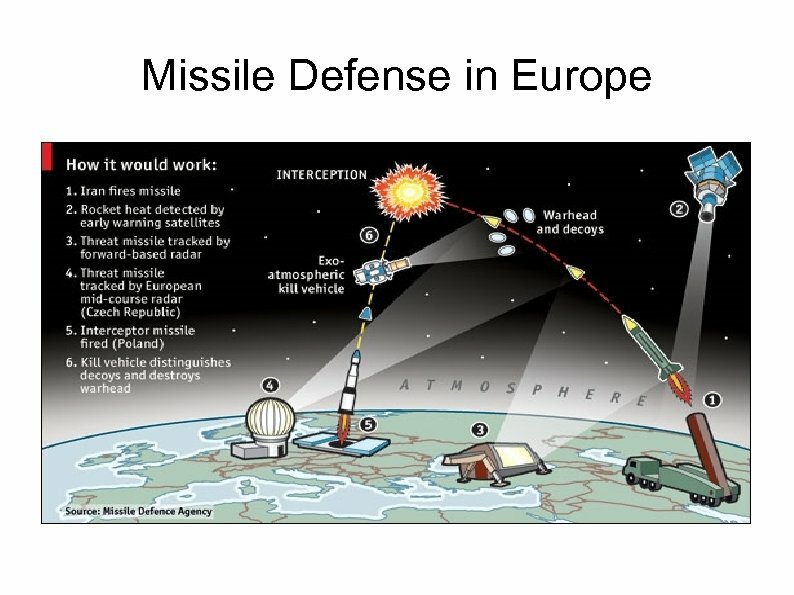 . . nuclear weapons missile defense growing confrontation with Russia in Georgia and Ukraine In the future: a global NATO? 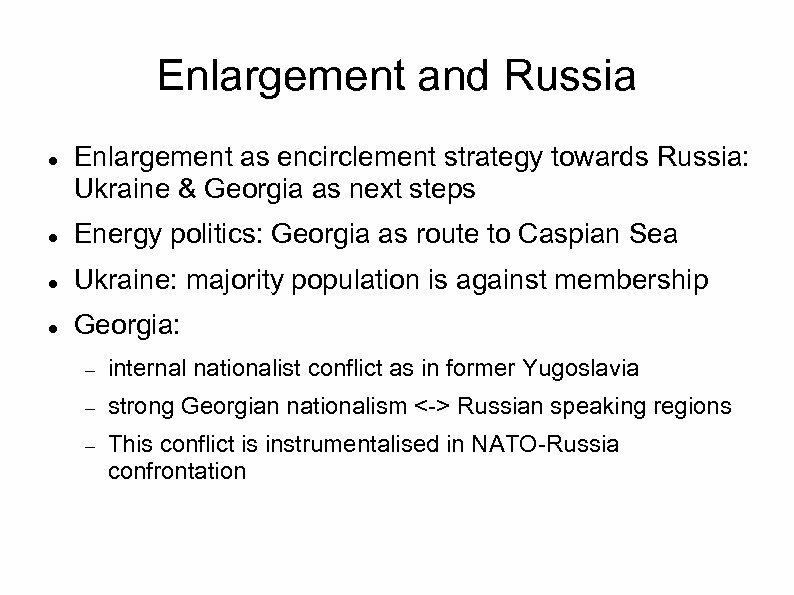 Strategic Concept: main policy document on NATO's objectives and on the political and military means to be used in achieving them. 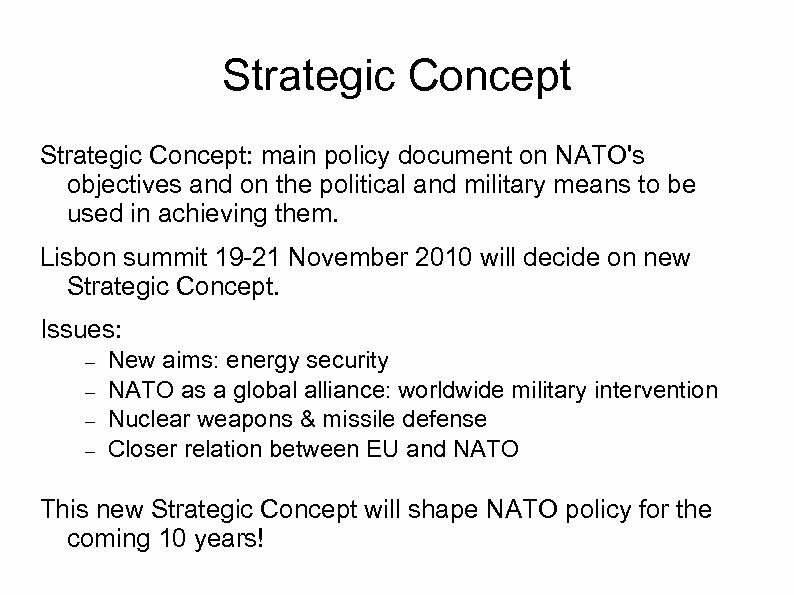 Lisbon summit 19 -21 November 2010 will decide on new Strategic Concept. 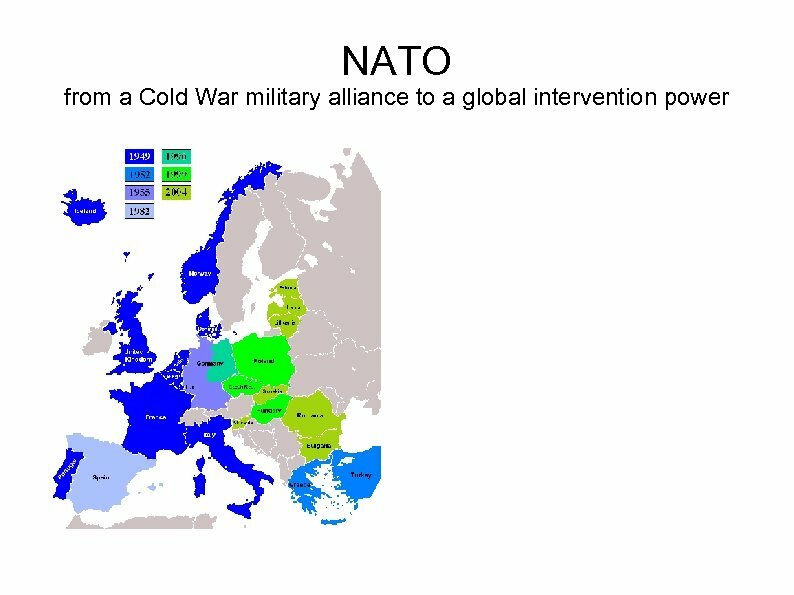 Issues: New aims: energy security NATO as a global alliance: worldwide military intervention Nuclear weapons & missile defense Closer relation between EU and NATO This new Strategic Concept will shape NATO policy for the coming 10 years!